Tell me about yourself. What is your design background? I took some architecture and drafting in school, but I am actually a finance major. Things just sort of snowballed when I created my first Headboard, and I ended up going in a direction I hadn't really expected. I had always envisioned myself running my own business, and when this opportunity came along, it fed both the entrepreneur and the designer in me. I like things that are simple, with clean lines. Besides the historical aspect of the material that I’m working with, I suppose it’s the clean, straight lines of the Bridge’s art deco design that appeals to me as well. No great designer exists without inspiration. 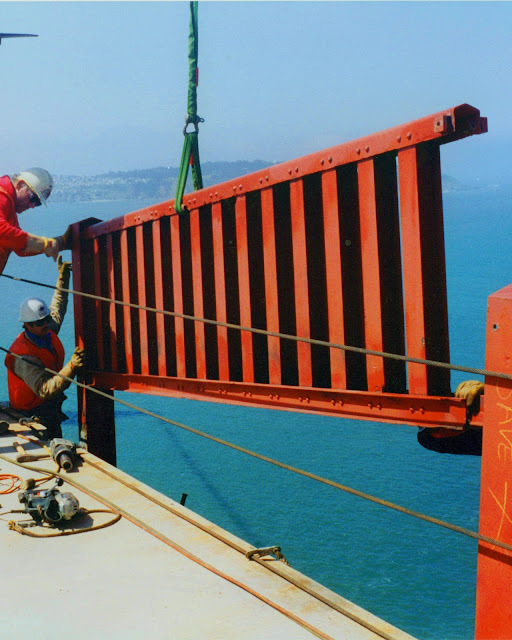 Please take us behind the design of your Golden gate inspired furniture and light fixtures. How did it all come to be? Tell us the inspired story. What fueled your creative process? I was born and raised in San Francisco. 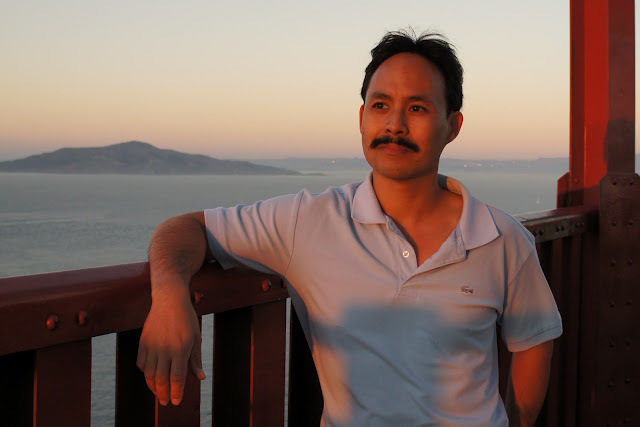 I have many childhood memories of spending weekends at the Golden Gate Bridge… playing underneath it, walking across it, picnicking next to it, and bringing visiting family out to see it. 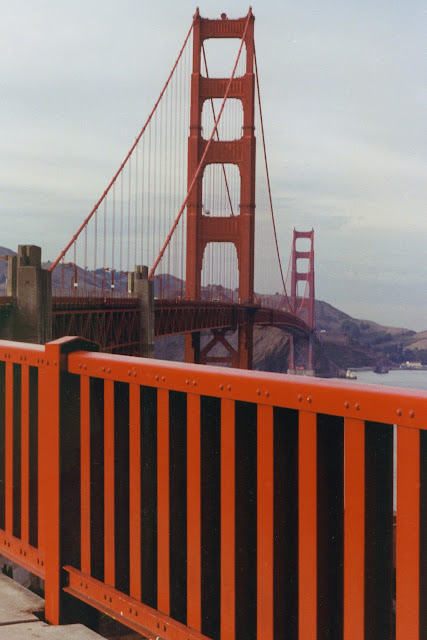 When I saw the story about the Bridge’s handrail being replaced, I just simply thought “Wow… that would make a cool headboard.” I just wanted a piece of it for myself. So I called the news station to find out the name of the contractor that did the removal, and then contacted them about purchasing a section of the steel. However, it was then that I realized that the sections were 12 ½ feet long and weighed about 1000 pounds each. I couldn’t just throw it in the back of a pick-up truck and attach it to my bedframe. So I hired a truck to bring the handrail to my home, where I then spent a month cutting and grinding down the section into a 115 pound queen headboard. 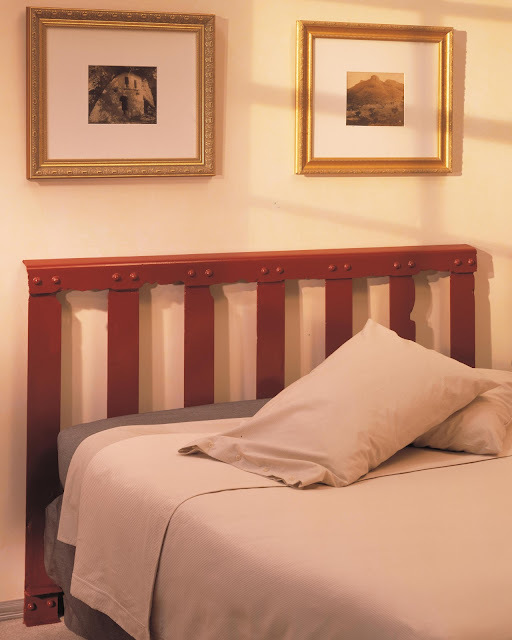 However, the section of rail also yielded three more headboards just like it. When friends saw it, they expressed interest in headboards for themselves, and I realized there was a market for such a product. At this point I started looking into the feasibility of starting a company based on this idea, and later went back to the contractor to negotiate purchasing the remainder of the handrail sections. 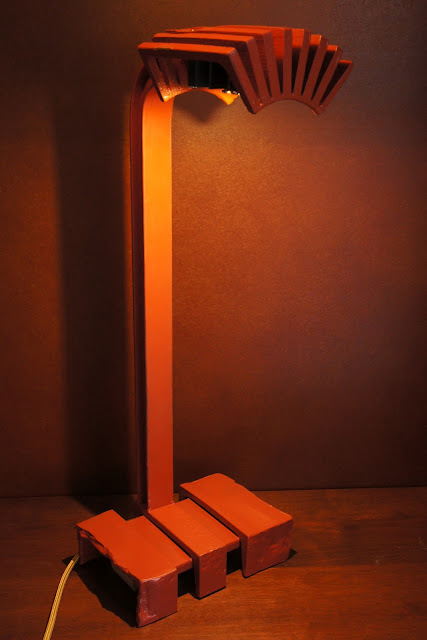 Since acquiring the handrail and starting the company, I’ve come to create table and lamp designs that allowed me to use every piece of the rail in a way so that nothing was wasted. It provides a variety to our product line, so that there is something that appeals to everyone. Of course, The Headboard is my original and signature design. It is what started it all. However, I’m very excited about our new Task Lamp design, since it utilizes the small pieces of steel that come off of a rail during the production of our larger designs, so nothing is wasted. With this design, I found myself becoming even more creative by giving an abstract reference to the straight lines of the handrail sections themselves, as well as to the roadway lights that line the span of the bridge. Additionally, I’m thrilled with the new Club Table design and how it incorporates, for the first time, locally sourced urban salvaged wood for its table top and shelf. 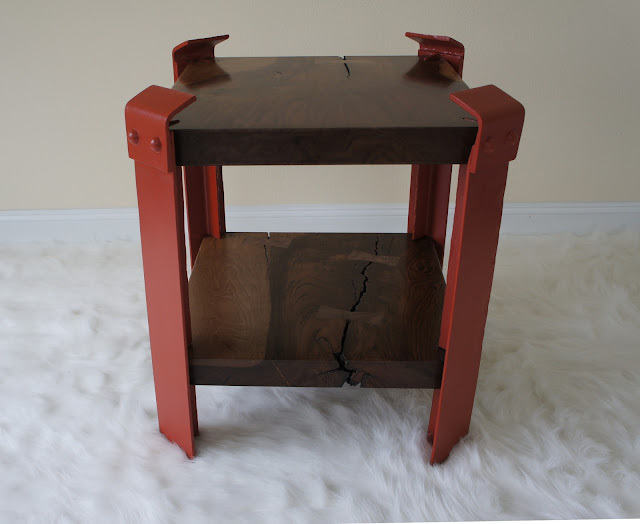 It brings an organic warmth to the design, and I think the two elements of the wood and the paint color (International Orange) complement each other beautifully. Right now, I’m just enjoying the opportunity to completely immerse myself in the creative process of designing products and working with local artisans to help bring my prototypes to life. I’ve always enjoyed running my own business, and I want to continue to move forward with this endeavor. However, I know I am working with a finite amount of steel. I acquired about 200 sections of railing, and I’ve probably used about 40 sections of it. Over the years, I’ve lightened up the newer designs so that they incorporate new steel. This allows more flexibility to the design process and it helps stretch out the lifetime of the handrail material that I’m working with. However, I know that I will eventually run out, which is why all of our designs have a limited production run - all pieces are numbered and come with a Certificate of Authenticity. So I will continue to create and build new designs as long as I can continue do so, and then when I run out of material… I guess I’ll just have to cross that bridge when I come to it. Thank you Richard for the interview! 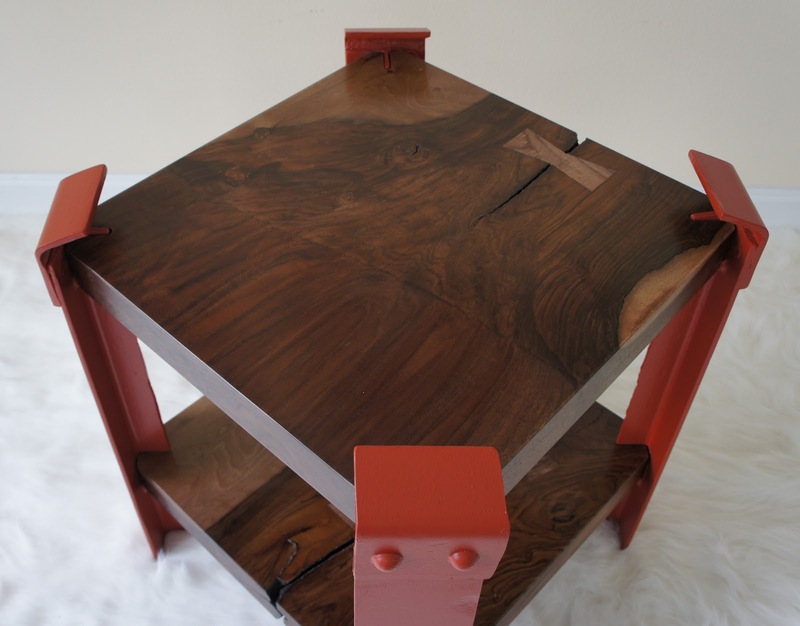 To check out more of his innovations,click on the Golden Gate Furniture Comapny website! !